Looking for apartments near Bensalem, PA? 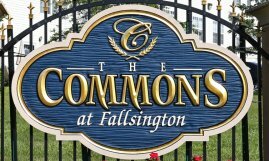 Consider one of our comfortable, spacious and pet-friendly apartments at The Commons at Fallsington. Located in Bucks County, PA, our Morrisville community is conveniently located to fun! Known for their sticky buns, browse Fritz’s cases packed with fresh, in-house baked goodies. Check out the latest blockbusters at this spacious Bensalem megaplex. A local favorite, this BYOB sushi bar serves up authentic, fresh Japanese fare. Got questions on our rental apartments near Bensalem, PA? Don’t hesitate to ask!